I have over 30 years of post master’s experience, training and practice in cognitive behavioral therapy, trauma treatment, supportive therapy, psychodynamic therapy, talk therapy, solution focused therapy. I teach relaxation techniques, coping skills, self-care. My approach is strength-based. I am culturally-sensitive, respecting differences and similarities. My special interest is work with women of all ages who are in transition-ie. loss of spouse by divorce, separation or death, loss of job, change in career, empty nest, life changes such as dealing with menopause and dealing with aging. Amanda is a certified Aroma Freedom Practitioner and veteran Essential Oil user. She is passionate about learning natural solutions to replacing harmful products in our environment, and is intentional about sharing that information. Look for new classes monthly! Elizabeth is a gifted healer who has been helping people achieve their mental, physical, emotional and spiritual goals for over 25 years. She is well respected within the medical community, has patients referred to her by area physicians, and in addition to the Red Barn in Durham, she is also treating patients and clients at Middlesex Hospital. Insurance: No Insurance. Fee for service. Jennifer has spent most of her life sensing energy. She has listened to spirit and the soul of her clients to help people back onto their path in life at that moment in time in which they seek it. Her life purpose is to shine her light and offer clarity to the people whom she meets that are looking for a hand up to get back on the road. It is all about the journey and sometimes we all need a helping hand to remind us that we already know the way! Readings are available in the store in the morning before the store opens. Call, email or text to schedule a 30 or 60 minute session. June is an ordained minister and has been employed in various clinical, teaching and administrative positions in the healthcare field for over 30 years. During the last ten years, she has lovingly applied that knowledge to a more holistic approach to spiritual healing. June has communicated with angels and deceased relatives since she has been a child. She uses these gifts to communicate telepathically with her spirit guides and angels as well as your spirit guides and angels to convey the information most needed. June enjoys sharing her intuitive gifts and provides additional services designed to meet your spiritual healing needs. I use a person-centered approach to my practice, incorporating psychotherapy and art therapy, to personalize sessions to meet my client's specific needs and goals. Lisa is a natural born healer with divine intuitive senses. She has the ability to assist your mind, body and spirit feel renewed every time you see her. Lisa has a very calming energy that you can feel just by being around her. She has been a healer since she was small and always offered to help people see the other side of the coin even when it was a difficult time for another. Lisa believes in honoring everyone she meets as she believes in kindness first. She realizes that not everyone has kindness in there life and she wants to lead her life with Kindness FIRST! Roslyn N. Carrier-Brault holds a Master degree in Social Science from Wesleyan University, Middletown, CT. Roslyn also has multiple undergraduate degrees in Fine Art Photography, Studio Arts, and Liberal Studies, as well as, certifications as a Pastoral Counselor, Reiki Master Teaching, Hypnotherapy Practitioner, and Magnified Healing. Roslyn’s Reiki practice focuses on holistic healing for people and their pets, from a place of heart-centered, mind, body, spirit, and emotional healing. Roslyn Reiki healing also includes other healing modalities, such as Polarity, Crystals, Young Living Essential Oils and Back Flower Essences. Amongst Roslyn class offering are lessons for Intuitive Animal Communication Skills, Dog Training, Wellness, Inner-Child Recovery, and Expressive Art Therapy through the use of Vision Boards, Collage, Watercolors, Photography and Computer Aided Art. Learn more. Working for the health and general well being of others. Sally Stoetzle, is the owner and therapist of Body Maintenance Massage Therapy at The Red Barn in Durham. 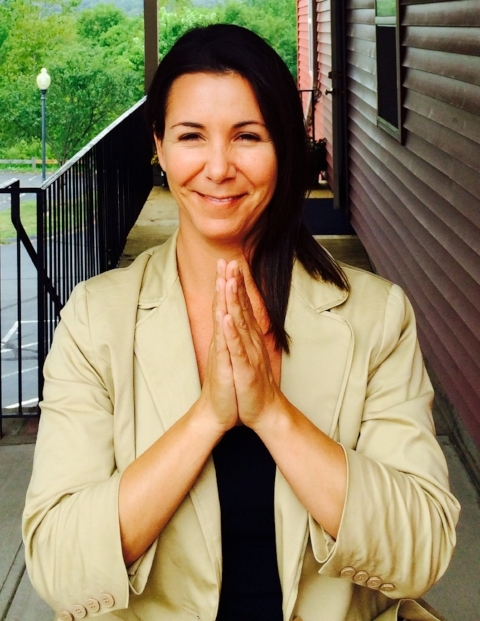 She is a graduate of the Connecticut Center for Massage Therapy (CCMT) and is licensed in both states of Connecticut and New York. Upon graduating she opened Body Maintenance and has taught introduction to massage therapy at CCMT for over 10 years.